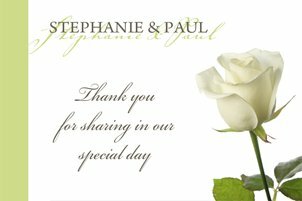 One of the favorite types of flowers for weddings are roses and the great advantage of this type of flowers is that you have flowers of every color, size and can combine your favorite. 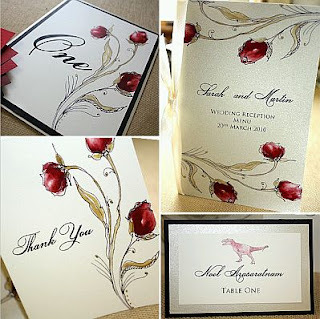 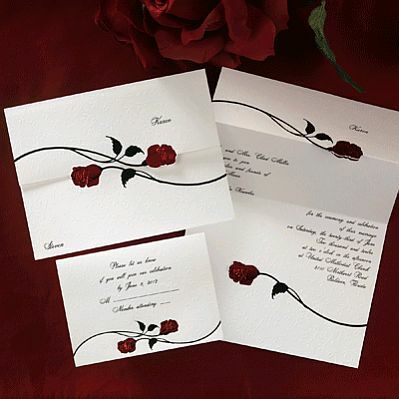 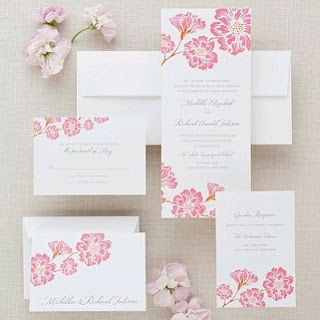 If you choose roses as your wedding floral detail, in this article we present some models of beautiful cards and invitations with these flowers, which may serve to surprise your guests. 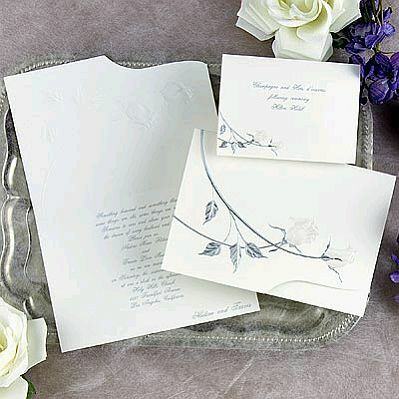 In this first model we have a white envelope that closing has two intertwined roses and at each corner, the names of the couple. This model is similar to above, but worked in other colors, the card is black and the roses are gold. A good combination is black and white invitations, but if you also want to give a touch of color, pin a rose, gives very good results. 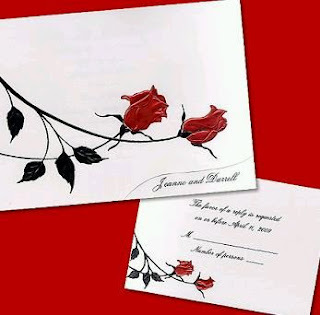 Another cute model with two roses on the front, lower right corner, cutting the card, you see the name of the couple, the same as is printed on the inside. 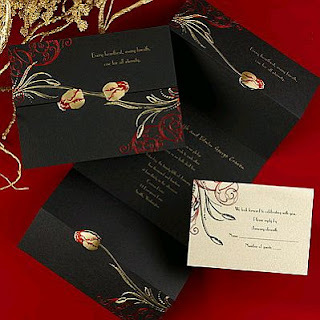 This model is similar to above, but worked in other colors, here you can also see how the card is to be opened. 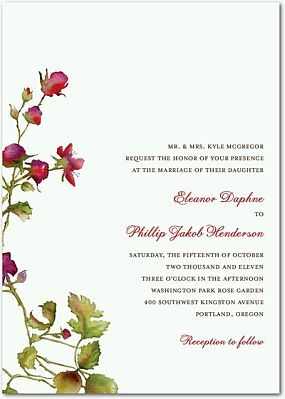 Romantic wedding card model made in pink tones, the side of the invitation has a branch with leaves and roses. If you are a person who appreciates artwork, this hand-painted cards, are right for you. 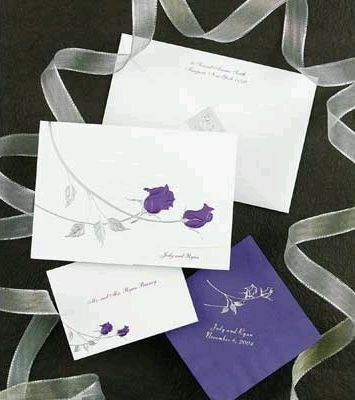 Cute purple pattern with roses on a white background, and you can see the back of the envelope and cards inside. And if you worked your wedding decor in shades of pink, this model of wedding invitation card with roses in this tone, can be useful. 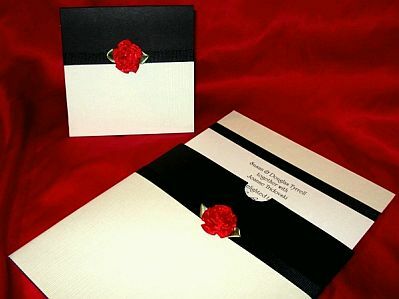 Finally, if you like the simplicity and elegance, this model of card acn be for you, it is a white rose on one side and on the other, a green line, all worked on a white card.